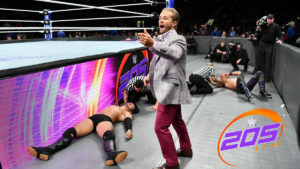 Mutafa Ali faces Tony Nese for a title opportunity, and The Brian Kendrick looks for some payback against Jack Gallagher in a good episode of 205 Live. 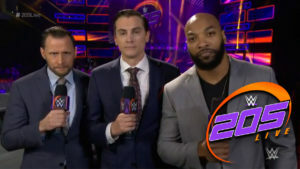 Tozawa looks for revenge against Gallagher, and Kalisto looks to avenge the treatment of Dorado at the hands of TJP in a good episode of 205 Live. 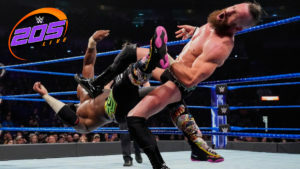 TJP was kind of a jerk in his match with Lince Dorado, and Drew Gulak was all business in his title rematch with the champ, Cedric Alexander! 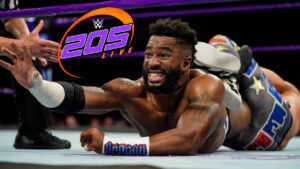 Gran Metalik and Tony Nese battle in a very good opener, Lio Rush gets to know Noam Dar, and TJP attempts to insert himself into the title picture in a very good episode of 205 Live.